Teenage skin giving you nightmares? Here’s how you can change that! Adolescence or teenage is the period when physical appearance and personality take an altogether new meaning for growing children. From body image concerns to shifting role models, they go great lengths to look good and presentable. This is also the time when due to biological changes their skin starts behaving badly, becoming prone to acne and pimples. Not cleaning your face and lack of personal hygiene can cause a buildup of dead skin cells that will clog pores and cause break outs. Sleeping with your make-up on can also lead to acne. 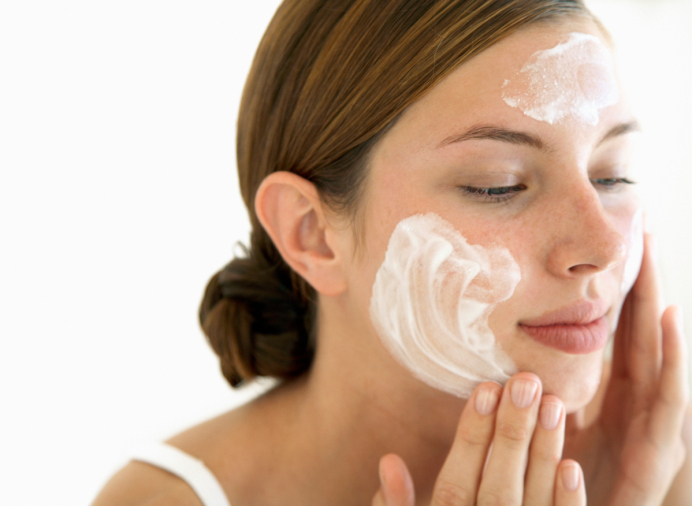 Some ingredients such as alcohol, camphor, eucalyptus oil, which increase oil production, are seen as a reason for increased number of pimples. Stress levels, picking/squeezing on pimples, poor diet are some other factors which can lead to acne. 2. Pimples should not be squeezed because popping pimples can push infected material further into the skin, leading to swelling, redness and even scarring. 3. Glasses and sunglasses should be cleaned up frequently to avoid oil from clogging the pores around the eyes and nose. 4. If the problem of body acne occurs, it is advisable not to wear tight clothes as they cause irritation and do not allow the skin to breathe. 5. Fruits rich in vitamin and minerals should be consumed regularly so that the skin stays clean and fresh. 6. Having at least 8 glasses of water every day will help keep the skin hydrated and will also keep sebum production under control.
. Acne: effect of hormones on pathogenesis and management. - PubMed - NCBI . 2015. Acne: effect of hormones on pathogenesis and management. - PubMed - NCBI . [ONLINE] Available at: http://www.ncbi.nlm.nih.gov/pubmed/12358558. [Accessed 01 October 2015].
. The influence of genetics and environmental factors in the pathogenesis of acne: a twin study of acne in women. - PubMed - NCBI . 2015. The influence of genetics and environmental factors in the pathogenesis of acne: a twin study of acne in women. - PubMed - NCBI . [ONLINE] Available at: http://www.ncbi.nlm.nih.gov/pubmed/12485434. [Accessed 01 October 2015].
. Complementary and alternative medicine therapies in acne, psoriasis, and atopic eczema: results of a qualitative study of patients' experiences and... - PubMed - NCBI . 2015. Complementary and alternative medicine therapies in acne, psoriasis, and atopic eczema: results of a qualitative study of patients' experiences and... - PubMed - NCBI . [ONLINE] Available at: http://www.ncbi.nlm.nih.gov/pubmed/16813509. [Accessed 01 October 2015].
. Questions and Answers About Acne. 2015. Questions and Answers About Acne. [ONLINE] Available at: http://www.niams.nih.gov/Health_Info/Acne/. [Accessed 01 October 2015].